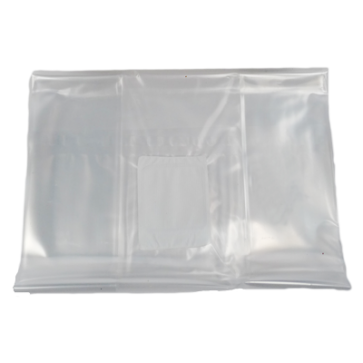 The mushroom grow bag or filter bag as many functions. It can be used as a micro greenhouse for your magic mushroom grow kit. The grow bag creates the perfect growing conditions that keeps the substrate humid and safe from contamination while it's growing. The mushroom grow bag can also be used as a spawn bag or substrate bag to grow all kinds of mushroom from. The mushroom bags are from the brand Unicorn. The Unicorn bags are used all over the world by spawn producers and mushroom growers.The micron filter on the bag will let air run through, but not micro-organisms. Super Growbag, allerdings gibt es nur die kleine Ausführung, aus welchen Gründen auch immer?!? Ich würde gerne bei meinem XL Kit beim 2. Flush die Growbag aus Hygenischen Gründen auswechseln...!